Developing the Vankor cluster is part of the Russian oil giant's strategic plans to ramp up production in eastern Siberia. Russia’s state-owned energy giant Rosneft has announced plans for additional investment in eastern Siberian oil fields, with the intention of increasing exports to Asia. Sviatoslav Slavinsky, Rosneft vice president for economics and finance, said that the company will invest 3 trillion rOubles ($83 billion) in developing a cluster of oil fields in the Krasnoyarsk Territory. Slavinsky estimates that the investment will create 15,000 high-skilled jobs and generate about 8 trillion roubles ($2.2 million) in revenue for the state treasury. He added that annual oil production at the Vankor cluster alone could reach 55 million tonnes by 2025. 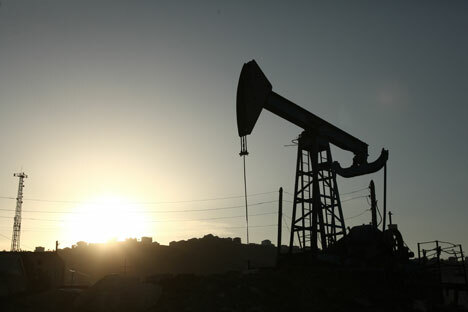 Rosneft had previously said that the Vankor cluster will produce 25 million tonnes of crude oil by 2019. Current production levels at the Vankor field are 21.4 million tonnes of oil and 6.55 billion cubic metres of natural gas. Rosneft began to develop the Tagul field last month. Developing the Vankor cluster is part of the Russian oil giant's strategic plans to ramp up production in eastern Siberia. Oil from this region is destined mainly for exports to Mongolia, China and the Asia Pacific region. Rosneft is Russia’s largest exporter of crude to the Asian markets. In 2011 it began delivering 15 million tonnes of crude every year to the Chinese National Petroleum Company via the Skovorodino spur of the EasternSiberia-Pacific Ocean (ESPO) pipeline. By 2030, Rosneft will have exported 300 million tonnes via that route. A year ago, in March 2013, Rosneft and CNPC signed an agreement for an additional 365 million tonnes of oil to be supplied over the next 25 years. The increase in Russian oil exports to Asia will come at the expense of exports to Europe. According to Sergei Klubkov, head of Operational Efficiency and Portfolio Management, Oil and Gas, at the Skolkovo Moscow School of Management, exporting oil from eastern Siberia to Asia wasn’t economically viable until now because of the logistics involved. Klubkov said that in his opinion, production at the already-discovered fields will reach 40 million tonnes at best, which is still not enough to fill the ESPO pipeline to capacity. Nevertheless, he considers the decision to diversify oil-export destinations is still sound. Neshchadin also thinks that shifting Russia’s oil exports eastward makes sense. Neshchadin said that in light of China’s rapid economic growth, even the most conservative estimates indicate that the country will need to increase its energy imports from Russia in the long term. Additionally, the growth of shale production in the United States will likely cause a drop in demand for Russian oil in the West. Klubkov pointed out another reason for the change. The oil fields in the western part of Siberia are older and are producing less. He said that Russian oil exports to Europe are likely to fall as production in western Siberia and the Urals-Volga decreases.